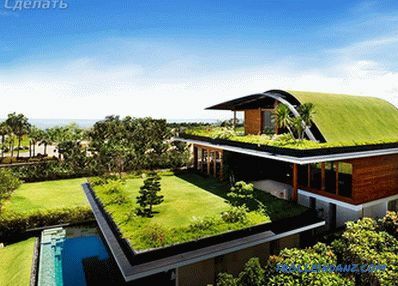 The concept of "living roof" appeared recently, at the end of the XIX century in Paris. 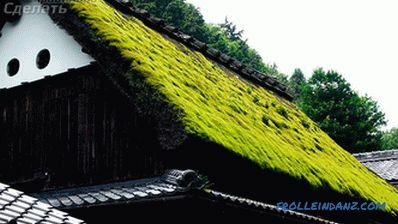 People liked the vegetation on the roof so much that now everyone can arrange such a miracle. Designers use the special term "green roof", which is increasingly gaining popularity and distribution throughout Europe, and our country is no exception. 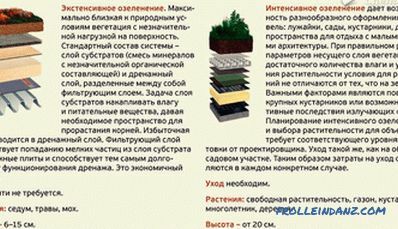 Therefore, if you want to equip a green corner, then you should read this article, which discusses information on how to make a lawn on the roof with your own hands. According to experts, you need to be patient, a small budget, and a great desire, and then the result will please you. Space saving. 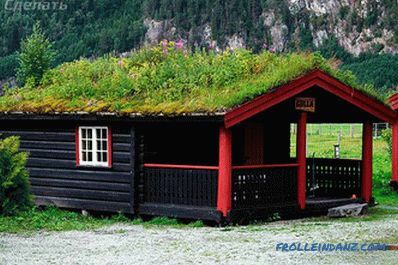 A living roof is an ideal option for those who do not have a land plot or it is too small. If the roof is securely secured, then the lawn can be easy to walk, practice yoga or relax. Ecology. All materials that are used for the construction and installation of the roof when heated emit harmful substances, but if you cover it with a green carpet, this problem will be eliminated. Power generation. If finances allow, in addition to the lawn on the roof, you can install solar panels that will supply the house with electricity, which will lead to significant savings of resources. Moisture absorption. Virtually all moisture that gets on the roof during rain will be absorbed into the ground, and with good waterproofing, you can not worry about the course of the roof. Durability. With the right choice of plants for landscaping the roof, you can extend the life of the roof several times, since a sufficiently large layer will reliably protect it from the effects of ultraviolet radiation and precipitation. Additional heat and sound insulation. Thanks to the landscaping of the entire roof area, you can immediately note the reduction of noise coming from the street, as well as the comfortable temperature in the rooms. Since the sun's rays will warm the lawn, the ground, and only then the roof, the rooms in the house will not heat up, and in the summer heat a comfortable microclimate will be created. 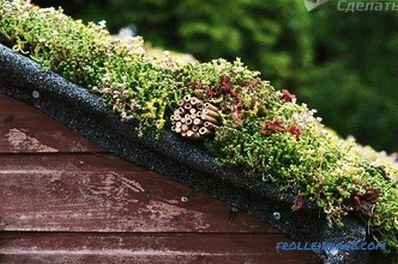 Before developing the greening of the roof, you should be familiar with the types of plant roofs. 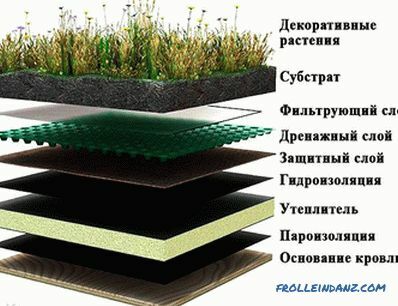 Types of roof landscaping Extensive is a lightweight version that uses a small layer of soil up to 15 cm. When choosing plants preferred unpretentious and do not require special care. Landscape designers recommend evergreens that are carpeted. 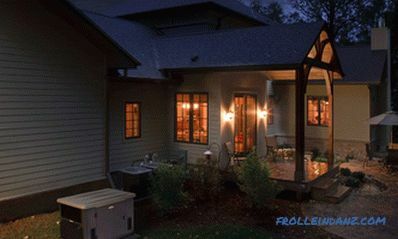 This option is suitable for lightweight construction, the roof of a summer house, gazebo, garage. Intensive - a sophisticated version, during which it is necessary to strongly strengthen the truss system in order to create a lawn, walkways and even a gazebo on the roof. Shrubs, small, ornamental or exotic trees are planted, lighting is done. 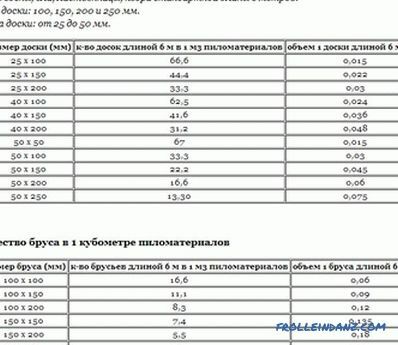 The soil thickness must be at least 1.5 m in order for the root system to develop well. Flat or pitched roofs. An ideal platform for creating a lawn is a flat roof where you can equip an intensive landscaping option. On the sloping roof will also look beautiful simple lawn. In many modern high-rise buildings and business centers, the roof is covered with intensive landscaping with a swimming pool. The development of such a project requires the assistance of a specialist. At the first stage, it is necessary to strengthen the entire roof of the house so that it can withstand a large load. After that, you need to treat the surface with various formulations of primers or water repellents. To protect the material from the effects of soil and high humidity are placed a root-protective film, moreover, it will become a protection against soil slipping down. When choosing a soil, preference should be given to a fertile substrate in which the plants will quickly germinate. 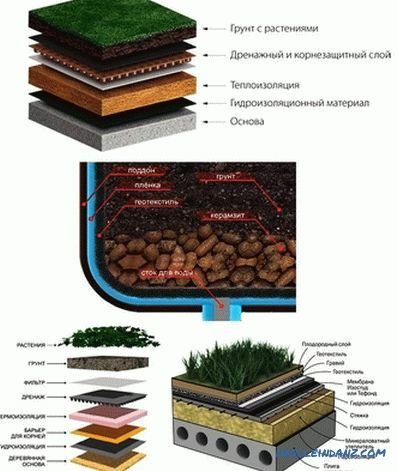 It is also worth using geopolitically, which will separate the drainage and the soil, so that they do not mix. If the roof has a large angle of inclination, you should use geogrids prevent the vegetative layer from sliding down. You can buy them in specialized stores. Since the lawn on the roof is not a new technology, we can say with confidence that today to create it using extremely durable and safe materials, and the installation process is quite simple. To create a lawn on the roof, you must have a solid base in the form of a batten or concrete slab, so if you have tiled roofing, you must disassemble it. 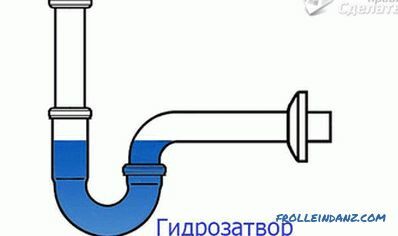 A flat and even slab is also unsuitable, a minimum slope of 5-10 ° is necessary for excess moisture to go to the drain. After that you can proceed to the main layers. First, the protective waterproofing is installed, which will not let moisture from rain and watering inside the house. Polyethylene film or liquid rubber is laid on the roof surface and secured with screws. The next step is to lay the insulation layer, which consists of cork slabs. They are laid together with each other using special glue. 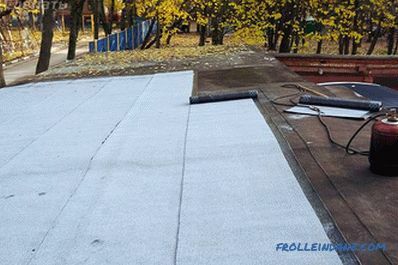 Above the insulation, protection against root formations is being laid, which are actively developing in good soil and, therefore, can damage the roof. In specialized stores you can find waterproofing materials with protection from the roots. For the water to linger and constantly feed the plants, a drainage layer is necessary. 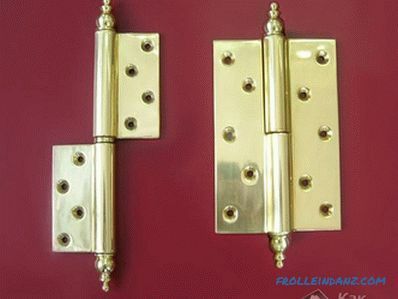 For these purposes, use claydite, which can be found in any hardware store and it is inexpensive. Filtering from geotextiles is also established so that drainage does not get clogged. For reliable fixation of the soil, a crate is used that will hold the entire soil. In most cases, a plastic geogrid with a low weight is used. When choosing a soil, you must carefully study all the plants that will grow on the roof. A regular lawn requires a small layer of 10 cm. Do not forget that a suitable base must be porous and light. The waterproofing layer should be as durable as possible, it is better to lay it in two layers. If a defect appears somewhere, then it will have to be restarted over the entire area. When choosing moss for landscaping the roof, you can skip the layer with insulation, as this plant performs all the functions of insulation. If before you had questions how to create a lawn in your the roof, then after reading this article, no difficulty should arise. In such a simple and affordable way you can change the appearance of the roof of a private house. In addition, you can save on materials for the roof and at the same time protect the house from precipitation and ultraviolet radiation.